In addition to providing residential insulation and weatherization for homeowners, Mr. Green Jeans also helps commercial property owners and managers save money and add value to their location. Visit our gallery to see commercial sites that we have insulated or weatherized, as well as many older residential properties. Whether your commercial site is brand new, undergoing renovation, or is a century-old property in original condition, we can help you ensure that you are using energy efficiently. Our commitment to timely and professional insulation and weatherization means that your time is never wasted. Our crews are always professional, courteous, and clean. We leave your site exactly the way it was when we arrived, wear uniforms, and are always conscious of your company image as we work. We only use our trained and certified employees – to perform every bit of labor involved with the insulating or weatherizing of your property. Be sure to ask about our 100% satisfaction guarantee. One of the most recommended services we provide is an energy audit. With a professional energy audit, our team will assess your property to be sure that it is using energy in the most efficient manner possible. We will check for air leaks, improperly installed insulation, and other issues that frequently cause huge increases in energy costs. To learn more about our energy assessments for residential properties, click here. For a commercial property, the benefits and process are similar, but the magnitude of savings is much higher. You could knock 50% or more off your monthly heating and cooling bill with an energy audit. What Types of Insulation Do Commercial Properties Need? 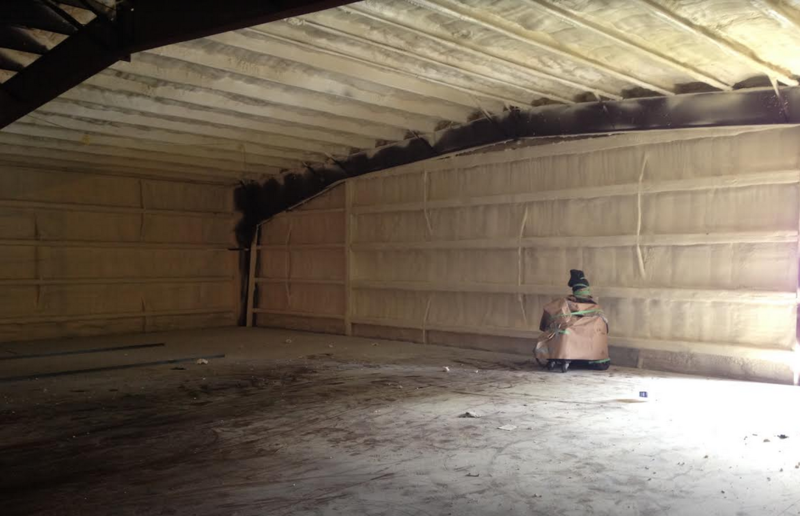 We provide both open-cell and closed-cell insulation, and have more than three decades of experience working with both. Different properties require different types of insulation, and we cannot tell you which you’ll need without first getting some key details about your property. 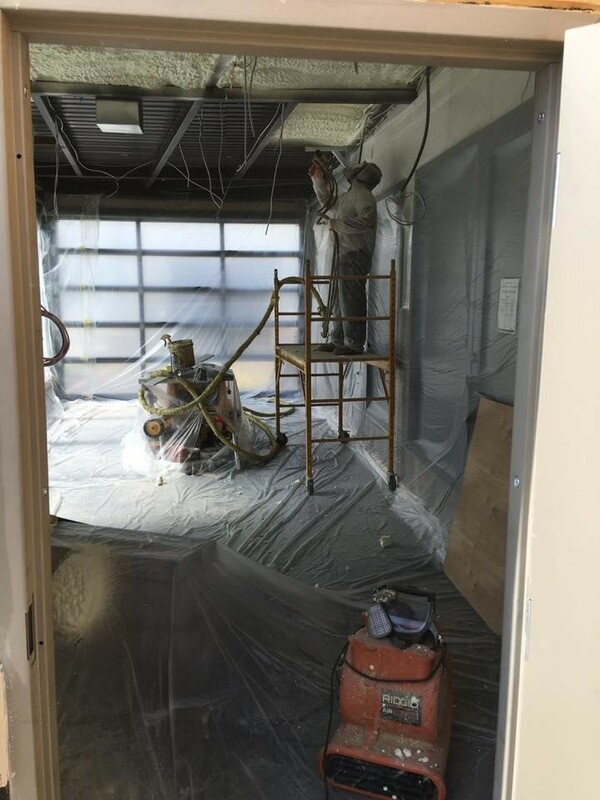 Where the insulation is needed, what type of material the building is made from, what type of barrier material may be present, and more, can all impact what type of insulation should be used. When you contact us for a free estimate, we will inspect the property and give you all the information you need to understand what type of insulation you need, as well as what other weatherization could be useful. We perform a thorough inspection before offering a free estimate, to ensure the most accurate estimate possible. After a weatherization or insulation installation by Mr. Green Jeans, improvements can be measured using a blower door and or duct blaster test. We can objectively show the efficiency enhancement through this test. But where it really counts is on your energy bill. Our residential clients routinely see savings of up to 70% on energy bills after having new insulation and or weatherization performed by Mr. Green Jeans. Commercial buildings can frequently see savings as high as 50% or more, depending on the type of building, the type of industry, your business hours, and other factors. Contact us to find out how much energy savings your location, specifically, may be able to expect after Mr. Green Jeans’ services. We offer our services to businesses and commercial sites in New Orleans, Baton Rouge, Slidell, and surrounding areas.